Last week, it was root. This week, it’s full-on S-OFF, baby. 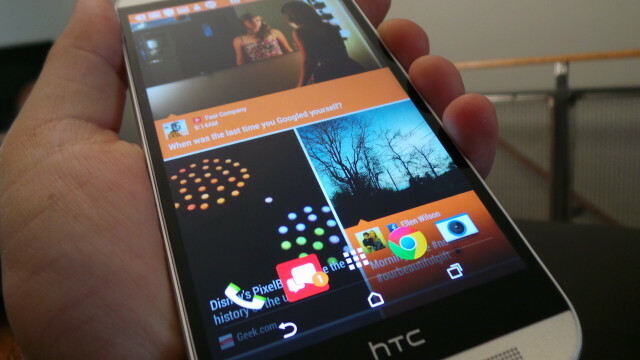 A team named Firewater did the deed on opening up the HTC One M8, giving us a solid S-OFF method that will allow folks to tinker with the inner workings of the HTC One M8′s software. Said tinkering has already resulted in someone posting a method for turning GSM HTC One M8s into Google Play Edition devices (meaning they swapped out the Sixth Sense-coated software for stock Android). Remember that this is NOT compatible with CDMA versions, so those on Sprint or Verizon will have to wait for other developments. Find the instructions for that in the thread linked above if you’re already up and running with root and S-OFF. A working internet connection on your device, whether that’s 3G, 4G or WiFi. A supported device, natch. HTC One M8 and M7 are givens, with many other Qualcomm-based HTC devices from 2012 being compatible. There are a couple of other things to note. For starters, those with the Verizon version of the HTC One M8 will specifically need to use WeakSauce by Jcase to root their device before performing the Firewater S-OFF. Those instructions were provided last week so hop to it if you haven’t already. Once you’ve gotten all that squared away, you can find instructions and downloads for your specific method right here. Take care to read each step carefully, and make sure you know what you’re doing before you proceed.